Our March 2013 Hospice Caregiver Award Winner is Will Reller, Chaplain at Gentiva Hospice. Will was nominated by Jan Cico, Office Manager at Gentiva Hospice. “Will Reller is never too busy for anyone. He goes above and beyond when there is a need. He is very easy to talk to; he is a good listener and has good advice. He has a wonderful reputation in the facilities and is sought out by his peers as well. He is mild mannered and has a wonderful calming sense about him. Will is always ready and willing to do Memorial Services, attends funerals, is a wonderful spiritual counselor, and always has our patient’s best interest at heart. Always smiles and goes the extra mile for everyone”, said Jan in her nomination. 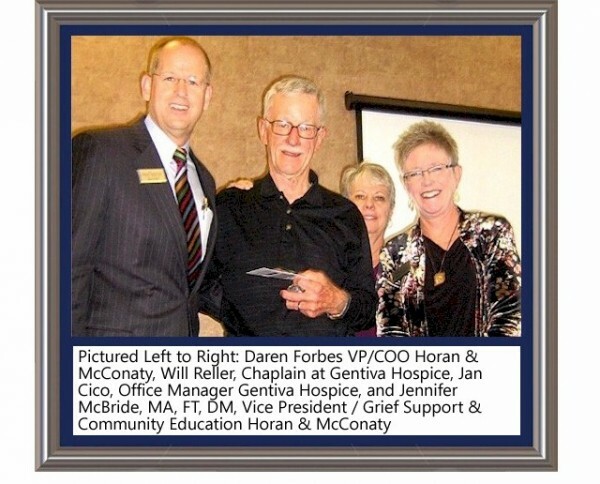 Congratulations to our March 2013 winner Will Reller, with Gentiva Hospice.